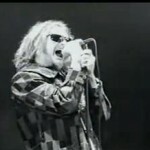 The music for “River of Deceit” came out of rehearsals that the group had before vocalist Layne Staley joined the band. Much of “River of Deceit”, lyrically, was inspired by The Prophet by Khalil Gibran, which Staley read during the making of the album. 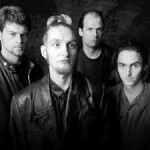 Drummer Barrett Martin said, “Layne Staley felt as though he was on a spiritual mission through his music. Not a rock mission, a spiritual mission.”Staley also wrote the song partially about his drug addiction which would eventually lead to his death on April 5, 2002. 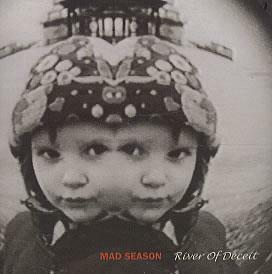 The single for “River of Deceit” was released to radio across North America, Europe, and the world. “River of Deceit” became the most successful song from Above on the American rock charts. The song peaked at number two on the Billboard Mainstream Rock Tracks chart and number nine on the Billboard Modern Rock Tracks chart. It would go on to become the band’s most well-known song as it received substantial radio play throughout the 1990’s. Outside the United States, the single was released commercially in Australia and Austria. In Canada, the song reached the top 70 on the Canadian Singles Chart, and later it charted on the Canadian Alternative Top 30 chart where it reached number eight. 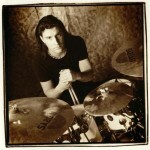 The music video for “River of Deceit” was directed by Josh Taft. The black-and-white video features the band performing the song amid scenes of people engaged in various activities. It is the only music video the band released. The video can be found at the end of the concert video, Live at the Moore. “River of Deceit” was first performed live at the band’s October 12, 1994 concert in Seattle, Washington at the Crocodile Cafe. Live performances of “River of Deceit” can be found on the “I Don’t Know Anything” single and the compilation album Bite Back: Live at Crocodile Cafe. A performance of the song is also included on the Live at the Moore home video release. All songs written by Barrett Martin, Mike McCready, John Baker Saunders, and Layne Staley.